I'm currently at work on two cozy mystery series. One is a cake decorating mystery, and the first book is called Murder Takes the Cake. 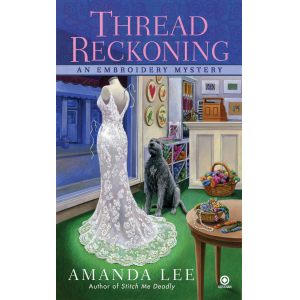 The other is an embroidery mystery series (the first book is titled The Quick and The Thread) and is being written under the pseudonym Amanda Lee.